Announcement Hello and welcome! 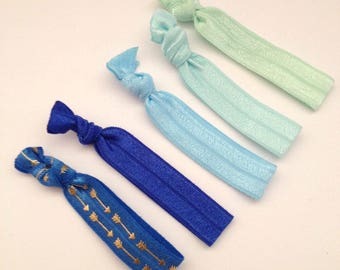 At Created For You And Me, you will find, unique and practical creations of hair tie elastics, beanies, hats, scarves, ponchos, blankets, hair clips, hair ties, headbands, tote bags, reusable produce bags, pouches and planner clips accessories for the family by CreatedForYouAndMe. You will also find custom designed tote bags that are designed by me in Australia, but I get the bags printing outsourced to a print company in the USA. Hopefully, this will help us to reduce the use of plastic bags. At the same time, tote some funny, pretty bags to the shops. Best of all, they are reusable bags. I also up-cycle and refashion tote bags from old curtains, bed sheets, home decor fabric, which can be used as grocery bags. Let's help reduce the use of plastic bags by switching to fabric reusable or up-cycled bags. Please check out my new range of tote bags, pouches, hair bows, women's hair accessories, planner paper clips and elastic hair ties for girls and ladies. I strive to create beautiful and practical items of clothing and accessories for each member of the family. If you are looking for baby shower gifts to give a newborn, new mum-to-be, a first time big sister or brother gift, this is where you can find handmade birthday, baby shower, bridal shower, housewarming, Christmas or special occasion gifts for every member of the family. 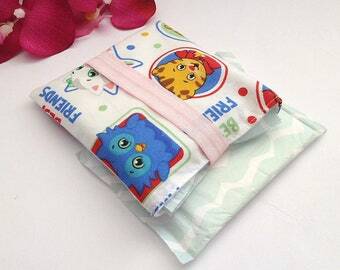 Lots of pretty baby blankets, beanies, hats, ponchos for kids and adults, scarves, hair ties, headbands, hair ties party favours, planner paper clips for all age groups. If you don't see what you are looking for, please feel free to send a custom made request and I will respond accordingly. Coffee mugs and tote bags print on demand with funny quotes and sayings. Custom printed T-shirts, tote bags and mugs are shipped from USA. Use SHIPFREE coupon code for free Australia wide shipping. 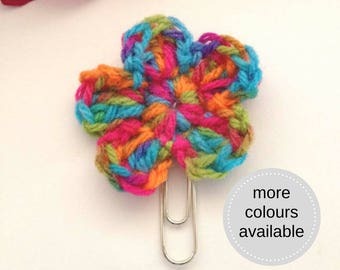 If there's a style or pattern of crochet item that you like in this shop but you want it customised, please feel free to contact me for a custom order. I'd love to make something that you like, with the best fit as well. Thanks for viewing my shop. Hello and welcome! 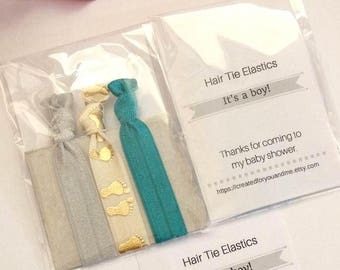 At Created For You And Me, you will find, unique and practical creations of hair tie elastics, beanies, hats, scarves, ponchos, blankets, hair clips, hair ties, headbands, tote bags, reusable produce bags, pouches and planner clips accessories for the family by CreatedForYouAndMe. So light yet strong enough for 8 apples. Thanks! Just perfect! This is the only seller I can find anywhere who makes these lovely headhuggers! I have two now and will want more to go with my retro clothes in winter. Just the perfect addition to 60s and 70s outfits. Light to wear, soft and still warm even with the gaps. Highly recommended! Get yourself some! This pink bear hat is off to its new owner tomorrow. Just debt this deep pink floral hat to it's new owner recently. 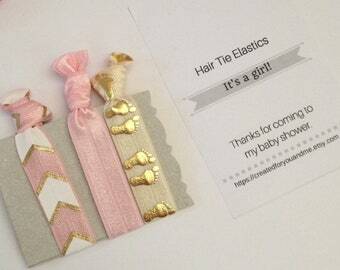 There is option to gift wrap your purchase for birthdays or special occasions. My latest offerings for coffee lovers: funny quotes on mugs, T-shirts, tote bags. I think my first introduction to crochet and yarn started when I was around 9 years old. There was a craft and yarn shop just a few blocks away from where I lived. And in my carefree time, I used to frequent the craft shop to check out what they do. It was from there I was taught how to crochet. I bought my first crochet hook (I think a 4mm) and balls of acrylic yarn there. Think they were 8 ply, as it was easy to crochet. From there, I made my first doll dress and little hat. They were short little dolls, maybe around 10cm tall? After crochet, I also got interested in sewing, as my mum inherited my grandma's Singer sewing machine, the treadle and wheel type. I was around 12 years of age. Not much into sewing till I was in my teenage years, around 13 years old. There was a big hibernation during my late teens and adult years, as work and social life took most of my time. I have only seriously gotten back into crochet just 6 years ago. Then when I moved from Singapore to Perth (Australia), I crocheted scarves to keep warm and floor rugs for my own bedroom. Being a student, I had a bit of spare time for crafts. Something handmade instead of store bought always appeal to my creative side. When time permits, I also enjoy doing some sewing. My first model is usually my own kid and then extended family members and friends. I love sewing simple summer dresses and bucket hats for little girls. Other sewing projects I have delved into include repurposing old clothing to suit my kid, recycling old bed linen to make bags, pillow cases or cushion covers. Sometimes I sew market tote bags out of old unused bedlinen or curtain materials. I use them for my own grocery shopping. Toting groceries in bags instead of plastic bags. I like reusable things instead of disposables. So where possible, I like to wash and re-use, keep and recycle or repurpose. Nowadays, I try to always use my market bags when grocery shopping and have a few in the car boot. Trying to use less plastic and less waste in the environment where possible. Hopefully, with this little venture on Etsy, I will be able to create some fun and playful kids accessories and clothing for girls and boys, either crochet or sewn, or both, depending on my mood at them time. I aim to make quality items that are appealing and practical in use. 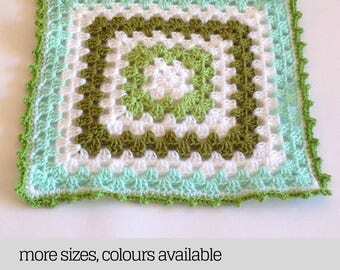 Some of my favourite crochet items are beanies and blankets, especially for kids or babies. I feel a special need for hand made stuff for little children. It's so lovely to see them wearing something handmade with love and care. They deserve the best "handmade with love" possible. For this, I like to use soft baby yarn or yarns that are non-scratchy on skin, but rather smooth on your skin, if it is clothing or hat or scarf. All items are handmade in clean, smoke free and pet free environment. Besides yarn, I also enjoy ribbon, fabric and paper crafts. I will be adding new items of creations from some of these ventures. You will find bags, pouches, headbands, planner paper clips, hair ties, hair accessories and gift envelopes made of origami or scrapbook paper. In between grocery trips and household chores, I enjoy sewing, crochet, knitted or other hand crafted items, so please check back soon. I have also done some typesetting and design work in the past. Having observed that many buyers are looking for custom printed items, I have decided to add new product lines to my store, such as custom tote bags. This will also help with reducing the use of single use plastic bag, which is good for our planet and environment. Keep yourself updated on Created For You And Me by FAVOURITING my shop. Hello there! I love sewing and making things with yarn, ribbons, fabric, origami paper. 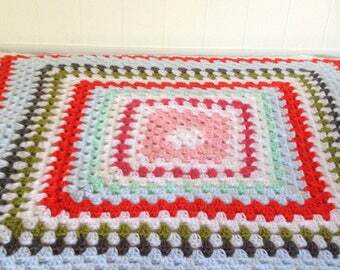 Crochet, loom knitting, ribbon crafts, sewing, designing and typesetting. This store is my way of creative therapy. My hubby who is into nature and scenery photography, but have kindly helped photograph me and my products whenever time allows. This leading print on demand fulfillment company or supplier produce the prints onto items using my design files and sends them where they have to go. They do the production and shipping fulfilment. So all I do is come up with the ideas and designs. Created For You And Me only processes personal data for core business purposes. The customer information received by Created For You And Me from Etsy, is used for Etsy related communications and transactions, for example, to fulfil your order, communicate about an order, solve delivery issues, settle disputes, provide customer support. Personal details, i.e. name and address, are used for the purpose of shipping. Personal details, i.e. name and address only, are shared with Australia Post etc. for the purpose of delivering your order. Customer details are retained for legal, business and tax records only, for a period of 7 years. I do not obtain, retain, reuse or transfer personal data for any other purpose. Should you wish to contact me in relation to the storage and use of your personal data please use the conversations facility on Etsy. Note: Created For You And Me accepts orders world wide. 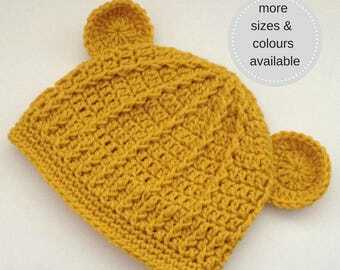 I would love to crochet or sew something you have in mind, of a particular style and size, if I do not have anything similar on offer in store. 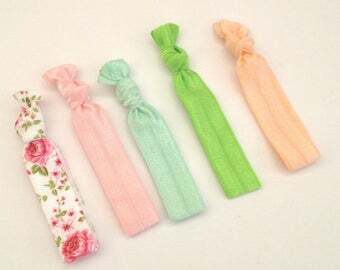 If you want customised hair tie packs, DO send me a custom request or email me a picture of what you like. Once payment is received, I will make the item in the order of purchases received. Estimated turnaround time for each custom order is between 1-5 business days after payment is received. If your order is time sensitive, please take account for this when planning to buy and ask me if delivery date can be met. The yarns I use come from different fibre types, from acrylic, cotton, wool to a combination of all these fibres. All my items come with washing and care instructions. For hand wash yarns, you can spot treat it by dabbing stains with wet washcloth. Avoid rubbing fibres to prevent pilling. Then quick hand wash gently and lay flat to dry. For machine washable yarn, place item in a hoisery/lingerie bag to prevent unneccessary stretching or damage, use short, gentle wash cycle. For more delicate fibres, such as wool, I would hand washing in cold water using a mild delicate wool detergent, gently roll in a towel to absorb excess moisture and then lay flat to dry. If there's a style or pattern of crochet item that you like in this shop but you want it in a custom length or colour scheme, or a different type of yarn, please feel free to contact me for a custom order. I'd love to make something that you like, with the best fit as well. So, please send me a custom request. Please note that my store is based in Australia so goods will be shipped from here. For buyers from the EU: you will be subject to taxes/fees which vary depending on the laws of your country. For buyers from Canada: you will be subject to customs duty which vary depending on the province. For US buyers: you will be subject to customs duty if purchase is over $200. All international buyers please check your countries custom laws and fees before purchasing. A private listing is an item listing your customised request which you can buy or pay for before I start the project based on your requests. All prepayment for item and postage before I start work. How is your crochet item packed for delivery or post? I usually wrap the crochet item in a tissue paper wrap or kraft paper, with paper slip of care instructions, then placed in a plastic wrap, before putting it in a satchel for posting. The shipping costs includes postage, packaging and handling. Hat height = 5 - 5.5"
Hat height 5 - 5.5"
Head Circumference: 16" - 18"
Hat height 5.5” - 6.5"
Hat height 6.5” - 7"
Head Circumference: 19" - 20"
Head Circumference: 20" - 21.5"
Head Circumference: 21.5" - 23.5"
Head Circumference: 24" - 26"
I have some free shipping offers on at the moment, for hair ties, headbands, appliques etc. Please note however, if buyer wish to return or exchange items offered free shipping, there will be a restocking fee of USD$6 or refunds for returns will have USD$6 deducted from the total. Please get a return authorization from me before sending item for exchange or refund. Why does your custom tote bag or T-shirt have a chemical smell? Due to the direct print process of the design onto tote bags and T-shirts, there is a slight smell left of the items printed. This is only temporary and should vanish after one or two washes. I suggest hanging the item outdoors to get rid of smell, then put it in the wash before wearing it.